Get to know your local businesses and neighbors at our largest networking event of the year! 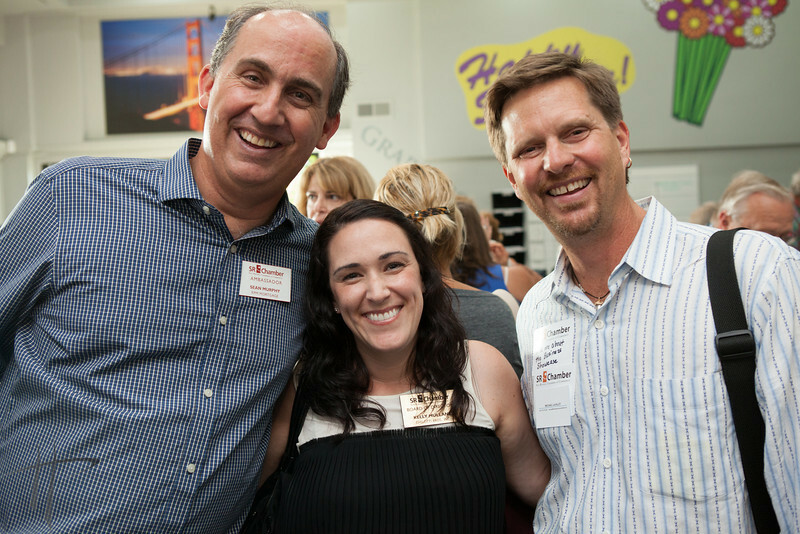 For exhibitors and networkers, the Marin County Business Showcase is the best way to get directly in front of local residents and fellow business people. With over 900 attendees, you have the opportunity to make hundreds of valuable new leads and customers and find great new vendors. For local residents, this is the perfect opportunity to get better acquainted with San Rafael and Marin businesses. Come experience the vibrancy and diversity that our community has to offer! The 2019 Business Showcase will take place on Wednesday, September 11 at Peacock Gap Clubhouse. More details to come soon. 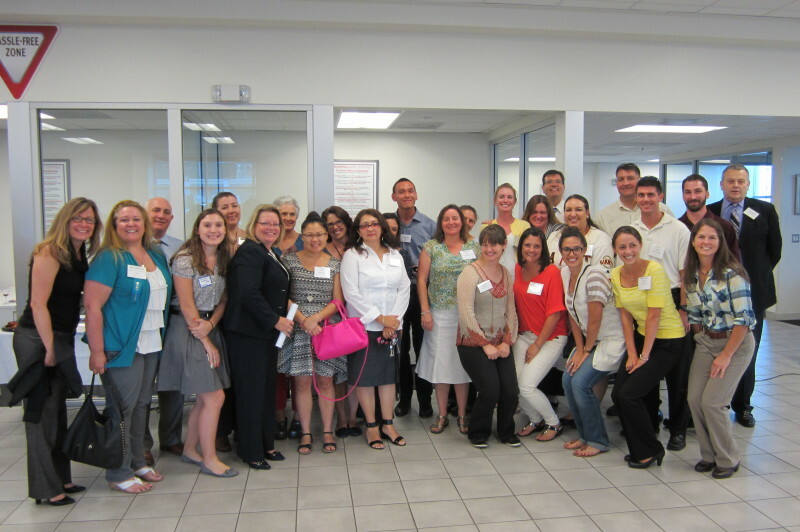 This event welcomes new teachers to our community and supports the mission of the Chamber Education Committee: to identify, promote and support common goals by fostering understanding, cooperation and collaboration between the business and education communities. Each teacher is introduced and given a goody bag of supplies donated by Chamber member businesses. Wednesday, October 9, 2019 at Toyota Marin. The Forecasting the Future Marin Economic Conference features the presentation of the 'National and Marin Economic Forecast' by Dr. Robert Eyler, Chief Economist for the Marin Economic Forum, as well as other speakers and panel members focusing on timely economic information you need to know to run your business. The Women of Industry Luncheon is held in recognition of the successful women business owners, professionals and entrepreneurs here in Marin County. Each year, the Chamber awards the 'Women of Industry Award' to an exemplary San Rafael businesswoman who was nominated by her peers. This honor goes to a businesswoman who exemplifies extraordinary leadership in her industry or company and has made a significant contribution to the citizens and the businesses of Marin County. Past honorees: Joan Capurro, Ann Brebner, Patty Garbarino, Melissa Prandi and Pat Kendall. The State of the City Dinner brings together over 400 business owners, CEOs, elected officials, regional community leaders, and Chamber Board members. The event features the "State of City" address by Mayor Gary Phillips and an awards ceremony to celebrate Citizen of the Year, Employee of the Year, and the Small and Large Businesses of the Year and Green Business of the Year. 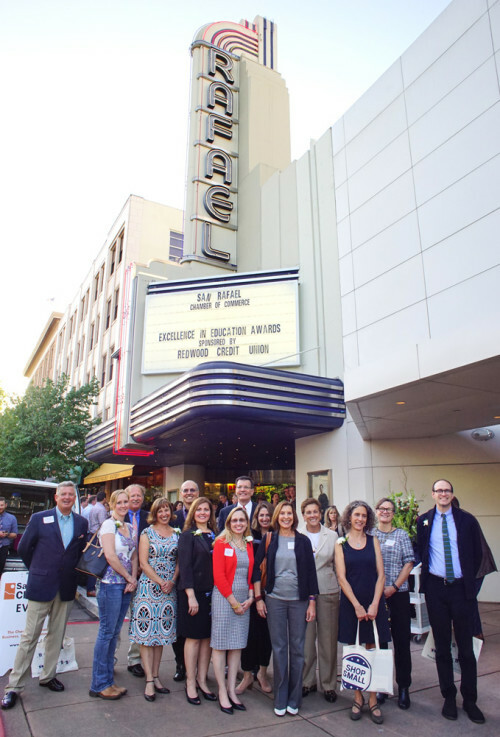 The State of the City Dinner also features 'The Best of San Rafael', a networking hour which offers samples of culinary creations by Chamber member restaurants and caterers. Wine and food are both included in the event ticket price. Thursday, April 4, 2019 at Peacock Gap Clubhouse. More details to come soon. This event recognizes exceptional professionals in our local schools. The Chamber Education Committee has honored over 100 deserving recipients with these awards over the past 15 years of sponsorship. The committee consists of education leaders from the San Rafael and Dixie Districts, Dominican University, College of Marin and independent schools. The business members include representatives from businesses with a long history of supporting education and individual members passionate about the interests of business and education. Seven educators are selected and recognized each school year. Each honoree is featured in the Marin Independent Journal as an Educator of the Month and all honorees are recognized at the Chamber's May Mixer. Wednesday, May 8, 2019 at the Smith Rafael Film Center. Hosted by a Chamber Member on the second Wednesday of each month, from 5:00pm to 7:00pm, during every month of the year except month of Business Showcase. Admission is complimentary for members. Prospective members are encouraged to contact the Chamber to be placed on Guest List. $20 for all other Non-Members. Interested in hosting a mixer? Click here for more information and click here for an application. Hear what members are saying! "The Business Showcase was truly one of the best Chamber events and business expos I've been a part of in a while. It was packed, people were engaged and there was a buzz in the room that clearly demonstrated a positive business climate. I was able to make two appointments and an opportunity to generate new business from this event. Keep up the great work!" 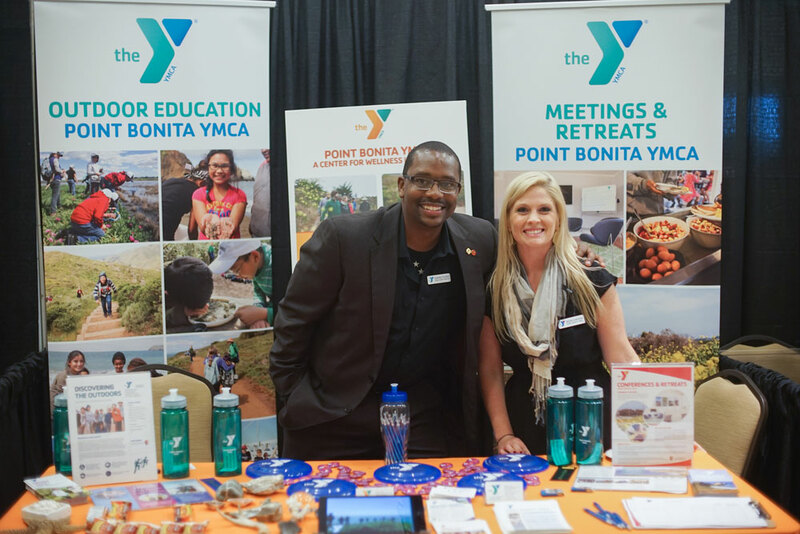 "Participation in the San Rafael Chamber Business Showcase gives Hospice by the Bay an opportunity to tell the greater San Rafael community about our compassionate care services and programs and is the perfect event to see and be seen by our local businesses. Most importantly, we are able to personally thank our many community partners and individual donors face to face for their generous support. We wouldn’t miss it!"